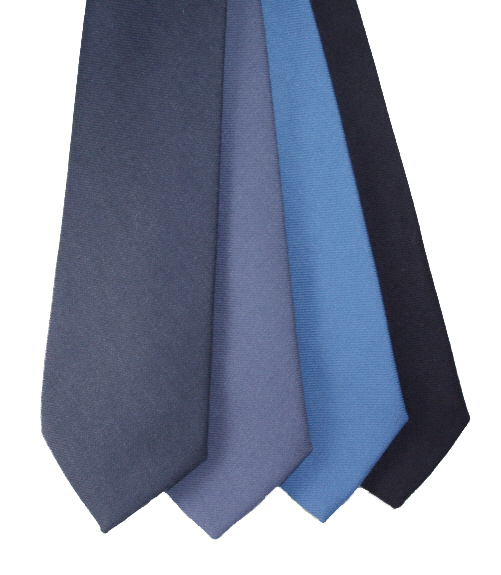 Smart plain wool ties in an extensive range of colours to suit all tastes. Classic plain woollen neckties are an absolute essential when you need a tie in a hurry, or you are on the move. Not only because they look good but because they are pretty forgiving if put through a heavy night out on the town! Once the favourite for mature gentlemen and country folk, these soft neckties have had a significant revamp. With beautiful new vibrant colours like plum, saffron yellow and denim blue there is a colour to match any outfit whether you are young or old. Why buy from us? Well, we are pleased to be able to say that our neckties are made from 100% wool and are completely manufactured within the United Kingdom from weaving the material at the mill to sewing the material, to make up. So your purchase will help to support UK manufacturing. Below we have included our neckties in group photos to help you choose the right shade. More plain neckwear can be found in the wool tweed ties plain silk & satin ties and our very popular silk square end knitted ties and wool knitted ties departments. 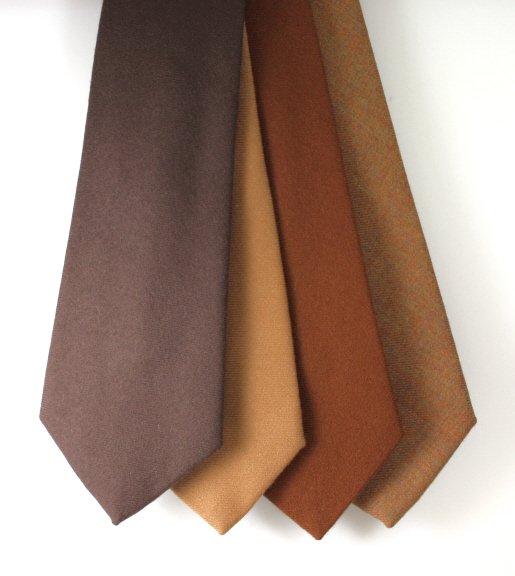 Our oatmeal ties are milled, lined and hand finished in the UK and are very fine quality. Made from 100% pure wool. Our bottle green ties are milled, lined and hand finished in the UK and are very fine quality. Made from 100% pure wool. 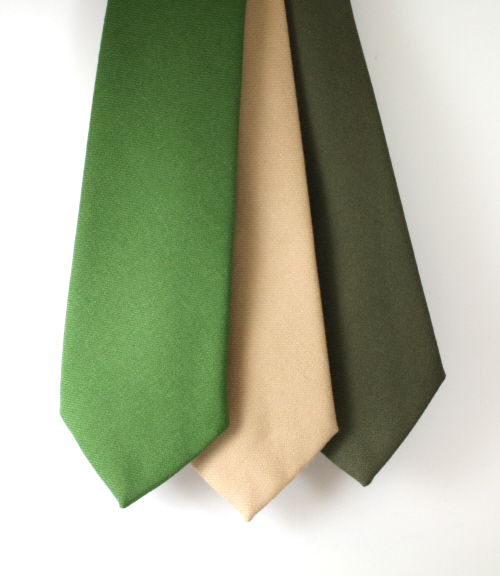 Our olive green ties are milled, lined and hand finished in the UK and are made from 100% pure wool. 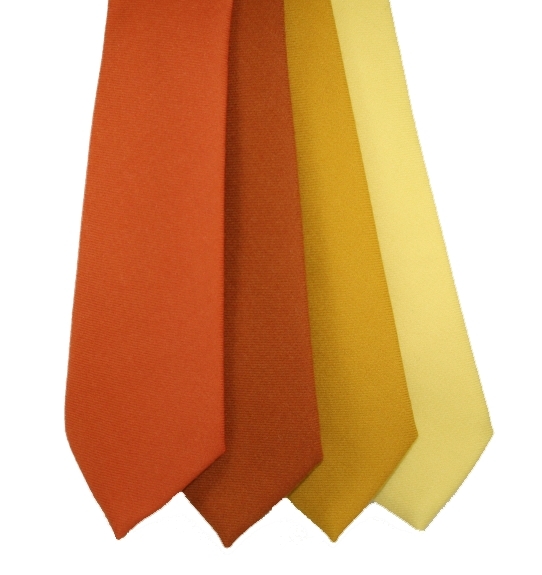 Our saffron yellow ties are milled, lined and hand finished in the UK and are very fine quality. Our dark denim blue woollen ties are milled, lined and hand finished in the UK and are very fine quality. A classic men's accessory for any occasion. Smart mid denim blue woollen tie which is milled, lined and hand finished in the UK and are very fine quality. A classic men's accessory for any occasion. Our navy blue neckties are milled, lined and hand finished in the UK and are made from 100% pure wool. Our plain red pure wool neckties are milled, lined and hand finished in the UK and are very fine quality. A smart plain tie in a medium red shade. Our pure woollen neckties are milled, lined and hand finished in the UK and are very fine quality. 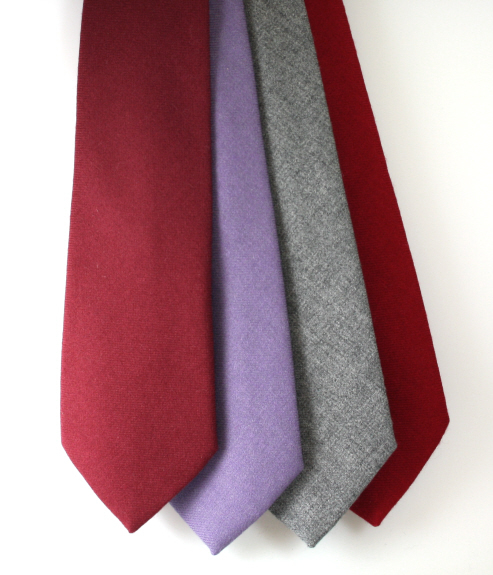 Our burgundy neckties are milled, lined and hand finished in the UK and are very fine quality.